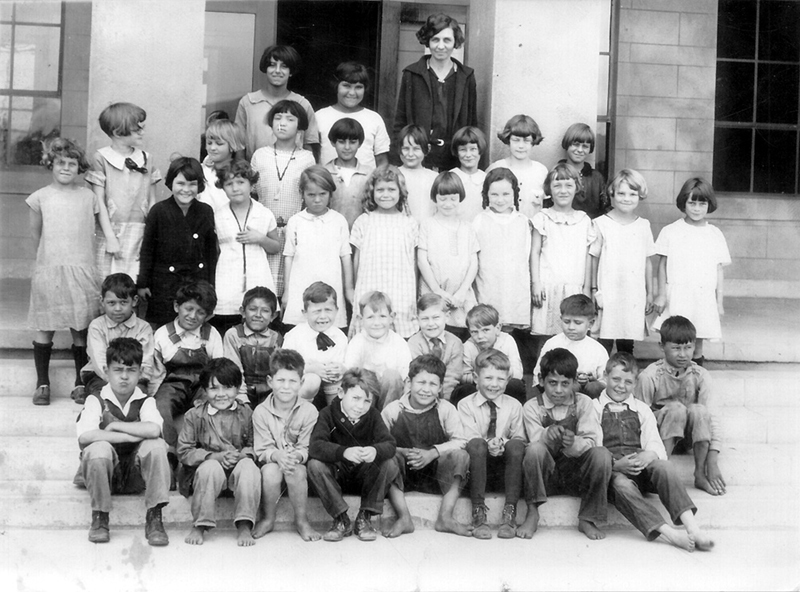 Second grade class at Newhall Grammar School, 1925. Dorothy Lewis is on the left, with head turned. "Someone had previously told me I had 'a cute profile,' so I turned my head to the side just as the photographer snapped the picture. Of course, now I wish I hadn't." Webmaster's note: This is the third Newhall Elementary School building, located near the corner of Newhall Avenue and 10th Street (aka Lyons Avenue) from 1914 until 1928, when it moved to Newhall Avenue and 11th Street. Identification by Dorothy Kupcha Leland, daughter of Dorothy Lewis Kupcha. Quote is from Dorothy Lewis Kupcha. KU2501: 9600 dpi jpeg from copy print.